Pure & Original lacquers are of exceptionally high quality. 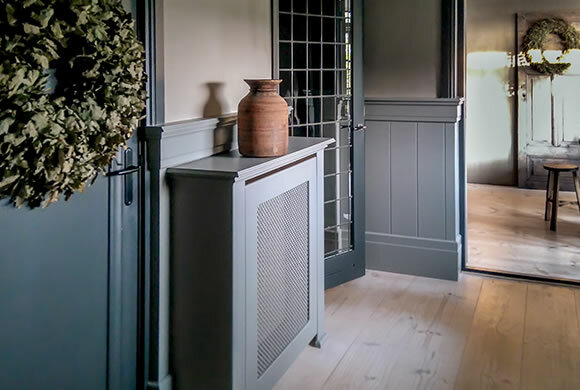 Lacquer is an especially excellent application for doors, window frames, wood, MDF, walls, and even radiators, PVC and metal. 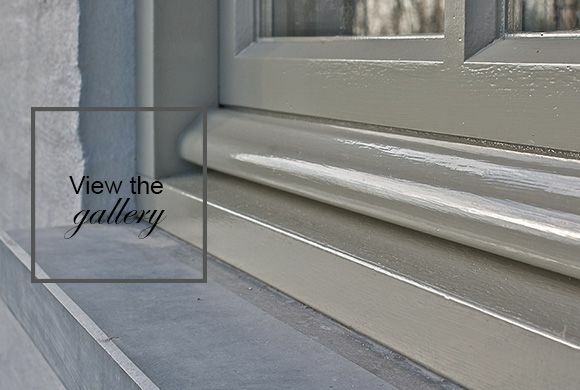 Water based lacquers, mainly used for doors, windows and baseboards, or as a finish on wood and metal, are also a perfect finish to give a different and exclusive look to your walls. 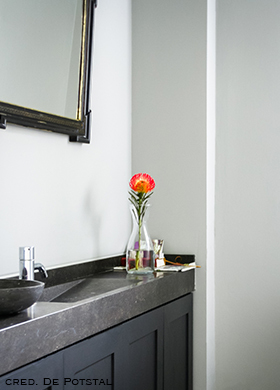 Our water-based Traditional Paint is especially suitable for walls, including those in bathrooms and kitchens. 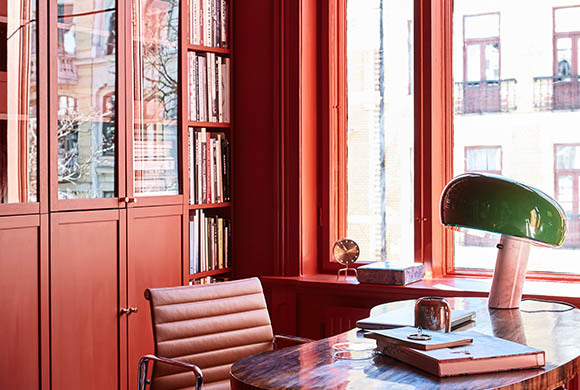 You can transform every kind of wall, including stucco, drywall and other surfaces, to create a “wow-effect” with this paint. 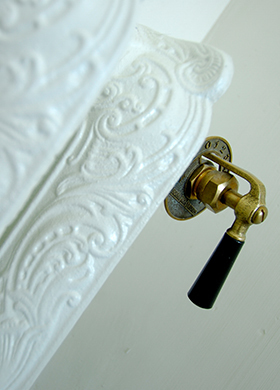 Traditional Paint lacquer is ultimately suitable to use in the bathroom and kitchen. The lacquers are water resistant, so very easy to clean. 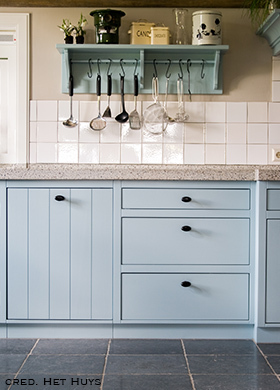 To create a high gloss surface, apply Traditional Paint high gloss on a super flat wall. This will appear in a super shiny surface. Is your wall not super flat? 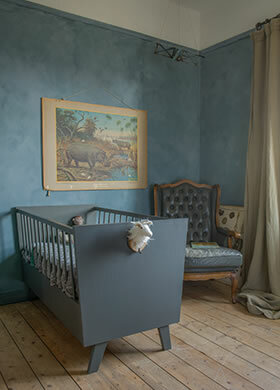 A finish with Italian Wax on Fresco lime paint or Classico chalk-based paint will do the trick as well. You can polish the Italian Wax into a high gloss. 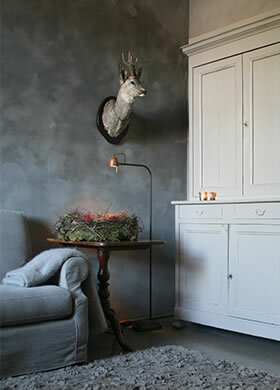 Pure & Original lacquers are heat-resistant, making them a suitable paint for radiators. Traditional Paint lacquer can be used for both indoors and outdoors. No mess with different kind of paints and lacquers in deviant colours, but just one can for everything. Our waterbased lacquers are strong and weather resistant, with a very good opacity. 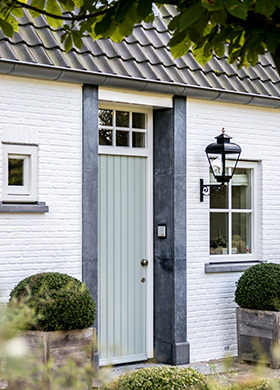 Would you like to start working with lime paint from Pure & Original? 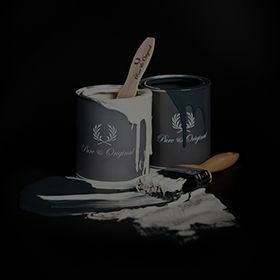 Avoid disappointment and buy your paint at one of our dealers, and don’t let another paint be coloured with our colours. The quality, abilities and look and feel of our paints can only be achieved with our own base and pigments. Replacing one of these elements with another brand, and the results will not be the same. 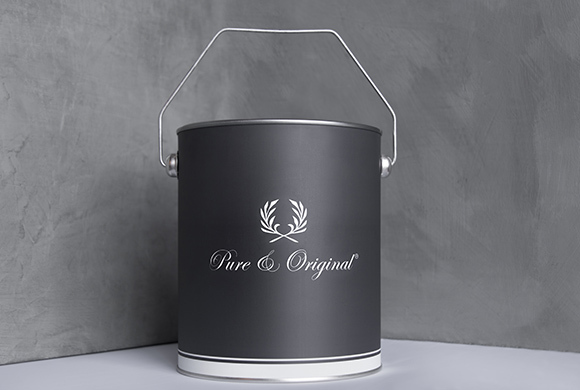 To be sure you buy our product, it has to be colourd and sold in the original Pure & Original can.